The Indestructible Beat of Soweto | You hear that?!? Important Vinyl Update … The Artist: Various. 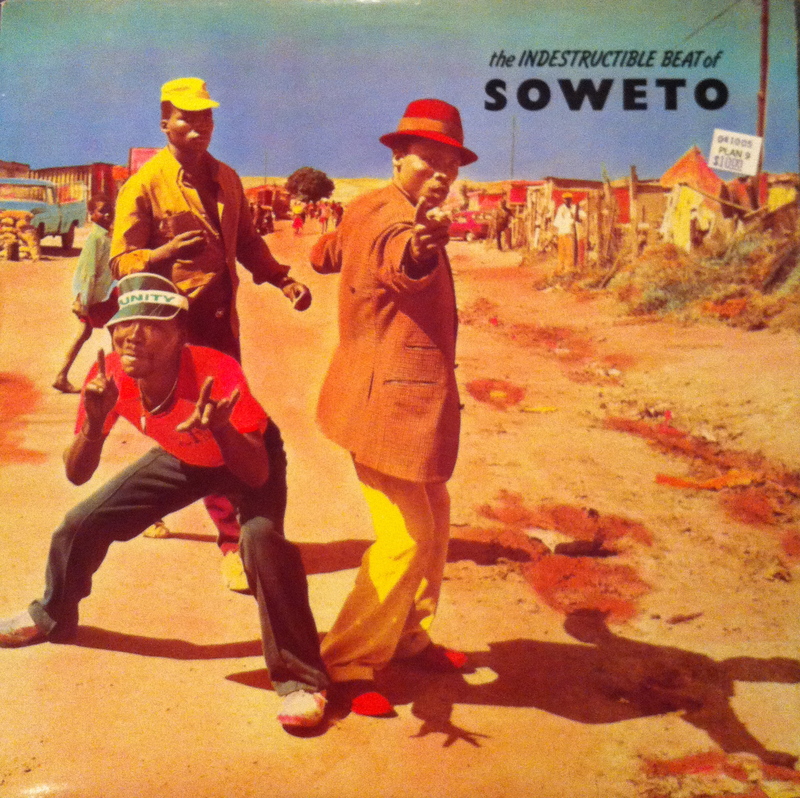 The Album: The Indestructible Beat of Soweto. The Store: Plan 9. The Price: $10. This might be the coolest picture ever taken. I came across this album cover while flipping through records at Plan 9. My first thought: “Whatever these dudes are selling, $10 is a bargain!” What they’re selling is The Indestructible Beat of Soweto – a snapshot of the diverse urban pop music scene of early 1980’s Johannesburg. This record is totally infectious. Modern influences like jazz and blues combine with a number of African styles, and the result is a 45-minute head-bobbing, day-brightening, spontaneous-dance-inducing party, with a Ladysmith Black Mambazo cherry on top. Should I have expected anything less from an album with such a great cover? The “Unity” visor? Amazing. The red fedora? Home run. The pointing? On point. Take a listen.